Vice President Mahamudu Bawumia said 500,000 cards have been issued so far. He noted that the introduction of the cards will contribute to the digitisation space of Ghana. According to Veep, the pilot has been carried out in Adentan and Madina, suburbs of the capital, Accra. “We expect the mass issuance to start by April ending,” he stated. 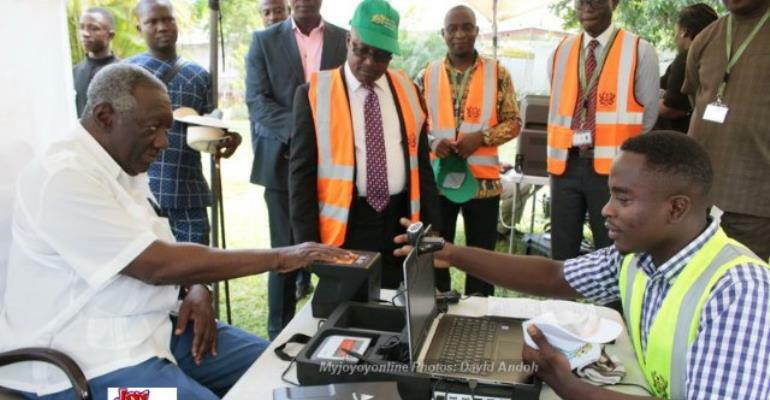 The Ghana ID card has been touted as the all-purpose ID that contains biometric information. The card according to authorities, will be required for accessing a host of social services including health, education, pensions, passport services and business registration. It is also expected to bring an end to the status quo where different bodies have their different database and issue cards, some of the information contradicting one another. But since the President launched the cards in September 2017, delays and postponements have stalled the issuance of the cards. Some staff of some public institutions have, however, been registered and issued with the cards. Speaking on Newsfile on Saturday, Vice-President of policy think tank IMANI, Kofi Bentil expressed exasperation at the stalled progress of issuing the cards.